There are very good examples of cross bedding and there are sand lenses (indicating depositional palaeochannels) and mudstone lenses. 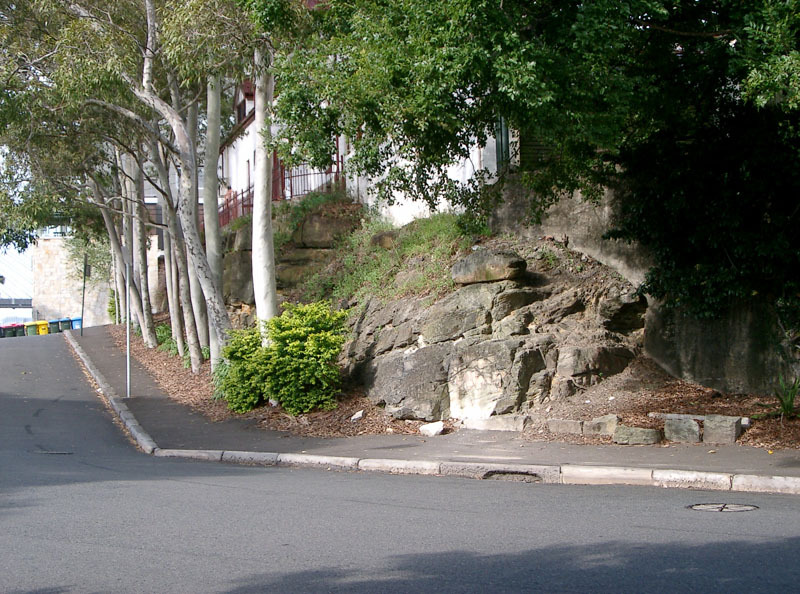 The section in Federal Road, from Glebe Point Road to Northcote Road, has most of the features seen at Stop 4. There are very good examples of cross bedding and there are sand lenses (indicating depositional palaeochannels) and mudstone lenses. 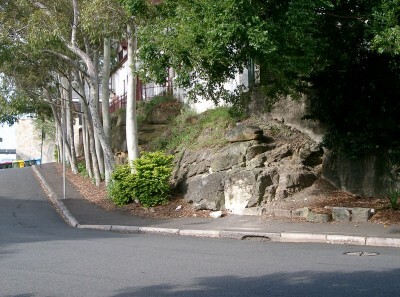 Some of the massive sandstone indicates bank collapse. Differential weathering of mudstone lenses, relative to sandstone, is prominent and in some of the mudstone lenses there are small “caves” – probably due to erosion caused by (native?) animals. There is one blast hole which is offset as it crosses a bedding plane. This is probably due to the mass movement of strata which has occurred since the drilling of the blast hole in the 19th century. 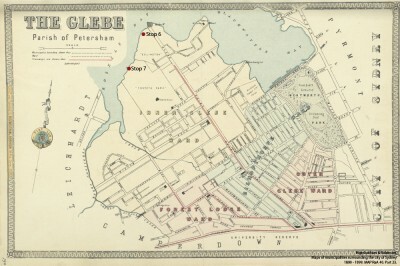 The pre-European “Glebe Point” no longer exists as such. 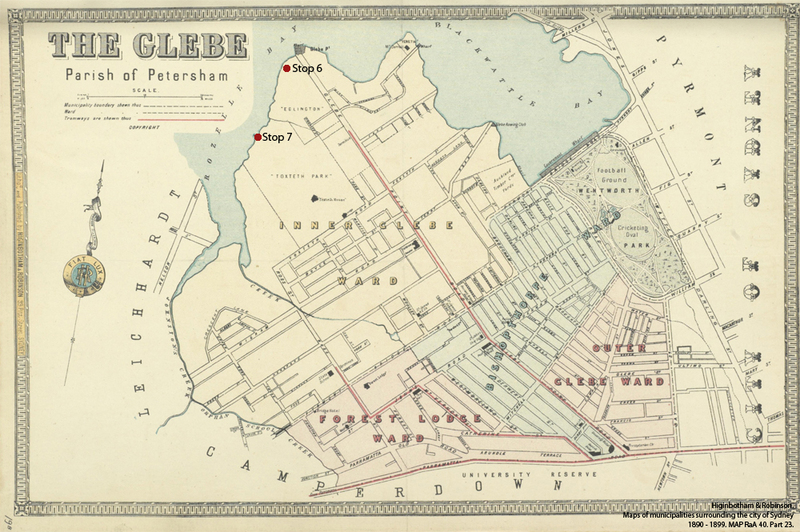 The point has been truncated by the construction of Glebe Point Road and Federal Road. Also, the geographic feature of a “point” has been lost, due to the reclamation and in-filling of the estuary of Johnstons Creek. Proceed south-west across Jubilee Park and past rear of Hilda Booler Kindergarten.